Though financial services companies may be worried about post-Brexit challenges to recruiting, those who prepare for them can offset coming workforce gaps and shortages. By understanding what’s driving these challenges and the resulting opportunities, financial services and fintech companies can emerge as market leaders despite the uncertainties of Brexit. Are you worried about Brexit? If not, you should be. Brexit is a hurricane force for change throughout the financial services and fintech industries around the world. CIOs can’t simply wait out the storm if they want to emerge as leaders. The details of the deal are still very much up in the air, as evidenced by the recent resignation of British Foreign Secretary Boris Johnson, but many of the actions being debated reveal likely outcomes that aren’t all positive for the financial services industry. It’s not all doom and gloom, though. Many of the changes coming in the swiftly approaching post-Brexit era can be beneficial for your firm – if you take the right steps to prepare. With knowledge of Brexit’s likely path in hand, financial services and fintech firms can prepare for the March 2019 negotiations deadline. While U.K.-based firms have the most at stake, firms around the world may uncover new opportunities as influence shifts from London to other locales. 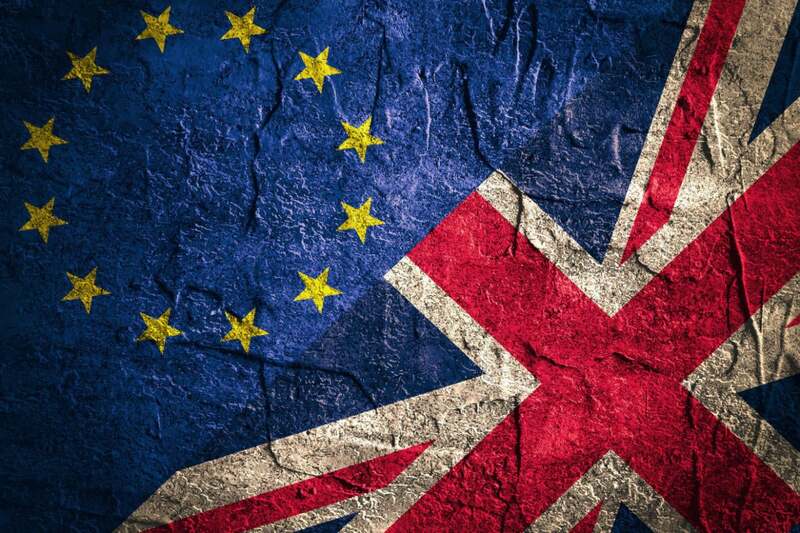 So how can financial services and fintech CIOs better prepare for Brexit? The U.K.’s new immigration policy has not yet been finalized, but most of the policies under consideration stand to hurt financial services. At stake is freedom of movement for EU citizens, the use of quotas, and the potential for an entirely new immigration system. This uncertainty poses a huge obstacle: 42 percent of U.K. fintech sector employees are drawn from outside the U.K., and 28 percent are hired from within the European Economic Area. The financial services sector is highly dependent on global talent, and financial services CIOs must plan accordingly or be left scrambling to adapt. What’s really astounding, though, is that 46 percent of fintech companies have already changed their behavior, either by considering a relocation or altering recruitment practices, or they intend to do so post-Brexit. That level of change is certain to create substantial churn in the industry. As London’s attractiveness to labor wanes, financial markets in cities such as Frankfurt, Dublin, Paris and Amsterdam stand to benefit. Financial services companies are already beginning to move their U.K. operations elsewhere. Bank of America, for example, recently moved senior London bankers to Paris in preparation for Brexit. These emerging financial services hubs can serve as a resource for expansion, outsourcing and more as firms address the challenges Brexit will bring. Some of these cities already have cluster strength for financial services technology. The fintech sector in Ireland, for example, is expected to double by 2020, and Belfast offers a steady talent pipeline of fintech graduates from Queen’s University Belfast and Ulster University. By identifying a location that can create value for your firm, you can reduce the impact of the post-Brexit talent crunch. The world’s largest financial services center is no longer a shining beacon that draws developers from around the world. These developers are the driving force behind the innovations and growth of London’s financial services sector. Without them, other financial hubs will catch up and surpass London in technical expertise. Several fintech companies have already decided to halt considerations of U.K.-based offices due to concerns over talent acquisition. This will intensify the shortage of experienced software engineers that already plagues the industry, and financial services companies must identify partners that can provide those technical workers. An outsourcing partner with experience in your firm’s service niche can augment your product development team with experienced engineers who understand your industry’s lingo, culture and compliance needs. This can help smooth over any bumps Brexit causes and drive continued innovation despite any recruiting challenges you may face. London is still the world’s preeminent financial services center for now, but that dominance is unraveling as Brexit negotiations drag on toward the March 2019 deadline. Talent will grow increasingly skeptical of the U.K. financial services sector, causing cost per hire to increase. The phenomenon is already underway. The U.K. labor market has started to slow, with workers avoiding the job search and companies putting off capital investments. Though cost per hire may rise post-Brexit, your firm can mitigate the damage by investing in current employees through employee development and the addition of new skills that are advantageous to your IT and software development environment. Brexit’s full impact on the financial services technology workforce is still in question, but your firm’s ability to prepare for pending changes is not. By anticipating the rapidly approaching challenges to recruitment, your firm can position itself for success after Brexit. Mike Barrett is the co-founder and CEO of Unosquare LLC, providing healthcare and financial services clients with IT consulting and software engineering services from offices in the U.S., Mexico and Belfast, UK. Mike has over 30 years sales and marketing experience with 12 years in tech leadership roles working with offshore and nearshore companies.